We are successfully meeting the varied requirements of our clients by providing the best quality range of Precision Clamping Vice. 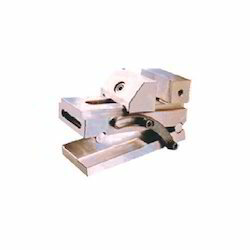 We offer wide range of Precision Vice. We are involved in offering Precision Vice for our valuable clients. The precision vice is made of OHNS, HCHCR and hardened to HRC 58 double tampered, parallelity and perpendicularly to with in 0.005 mm. We offer a wide range of precision sine vice that are manufactured using superior grade materials and components. These are known for their outstanding quality, dimensional accuracy and perfect finishes. We offer these vices in various specifications dimensions at most competitive prices. We provide Industrial Sine Vices that are used for precision measuring and setting of angles, these vices are made from alloy steel. Accuracy: Parallelism 0.008 mm / 100 mm squareness 0.015 mm. 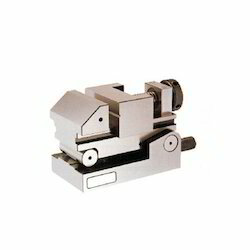 Banking on our enriched industry experience, we are engaged in offering a huge gamut of precision sine vice. - Made of high quality alloy tool steel (SKS3) with sub-zero treatment. - Suitably using in grinding, cutting, drilling, marking and measuring. - New structure design make easier operation with high accuracy and stability. Price varies from Rs 7000/- to Rs 45000/- based on the specification of the products. Toolfast’ Precision Sine Vice is used to obtain precise angles by means of gauge blocks. Apart from its use on milling and grinding machine, this Sine Vice can also be used as a reference for inspection.